Excerpts from Karan Johar’s much-anticipated autobiography ‘An Unsuitable Boy’ have gone viral. Social media is abuzz with the candid, honest, decisive and compelling narrative of the book. 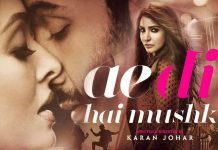 The autobiography made headlines for Karan Johar opening up about his sexuality and for outlining in great detail the rift with Kajol. Speaking about Kajol, Karan Johar writes that he doesn’t have a relationship with Kajol anymore and that something happened that disturbed him deeply, about which he does not want to talk because it’s something he wants to protect. After two-and-a-half decades, Kajol and Karan Johar still don’t speak to each other. Apart from candid details about his sexual orientation and differences with Kajol, Karan Johar has also outlined details abou thet fight with King of Bollywood and his love for SRK’s son AbRam. Karan Johar in his autobiography An Unsuitable Boy writes – “Shah Rukh is a very possessive friend. I think I may have hurt him when I made a film without him. And I think I got hurt because when I did, I felt he didn’t give me that paternal or fraternal feeling that I had from him otherwise. I think we were two hurt friends for no reason.” Karan Johar and SRK later reconciled the differences when they met at the success party of Piku. Karan says he hugged Shah Rukh Khan instinctively, telling him that he missed him. Shah Rukh Khan, responding to Karan Johar’s gesture said even he missed him. 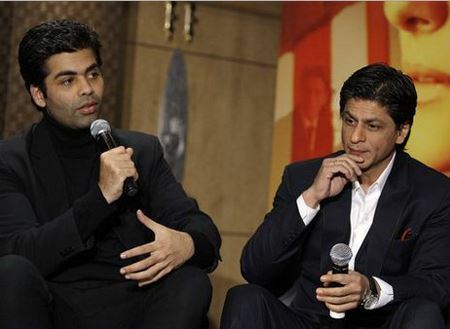 Now, all’s well between Karan Johar and Shah Rukh Khan. Karan frequently visits Gauri’s house to play with AbRam. Karan also reveals that his mum loves AbRam. “My mum loves him. He is like a toy that you want to own. He came to the office the other day and the entire staff came out to see him. Everyone was behaving as if Brad Pitt had arrived. He was delighted with all the attention”, Karan writes.